There's no need to visit a toy store to buy expensive building blocks! Your child can make his own life size blocks out of soft materials, and then begin building away in a room without breakables. Throw 'em, stack 'em, or even fall on 'em! These enormous blocks are fantastic for building both brain and body strength. The assembly is even easy enough for young children! 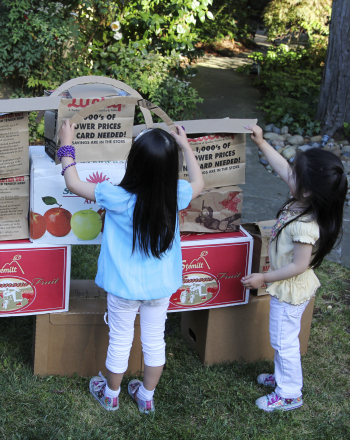 With your child, stuff a grocery bag loosely with crumpled paper. Try to maintain a block shape to facilitate easy stacking. Fold the top edges of the bag over and seal the "block" tightly with tape. Retain the handles for easy carrying. Brainstorm other potential building structures with your child, such as bridges, tunnels, moats, and roofs. Help him build any desired extra structures out of the corrugated cardboard. The purpose of these blocks is to allow rough handling without hurting your child. Don’t be dismayed if one or more of the blocks tear during active play—simply designate a "block repair site." 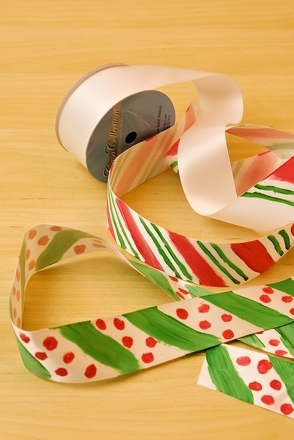 Keep strips of duct tape ready so your child is able to fix the blocks himself. If any of the blocks get damp from outside play, just leave them in the sun to dry! Decorations are optional. Consider differing the size of the blocks to create some variety. You can incorporate a science lesson into this activity by explaining the relationship of density and weight to your child. Density is actually a ratio. It is the relationship between the weight of whatever “stuff” you use and its volume (the amount of space it occupies). Putting crumpled newspaper inside the blocks creates a lot of air space, which keeps the blocks light. Ask your child what he thinks would happen if you had put other items inside the bags, such as books or water. Would he still be able to kick them or throw them around? 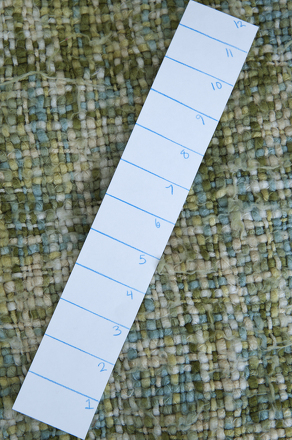 Get ready to measure the fun that your child will have creating his own ruler! 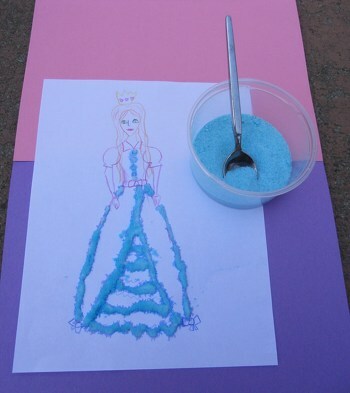 Make homemade glitter to add glamor and glitz to art projects galore. 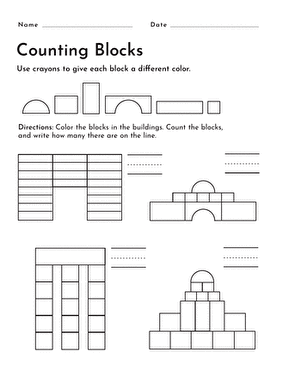 Help your aspiring architect practise counting, coloring and writing numbers with this counting blocks worksheet. 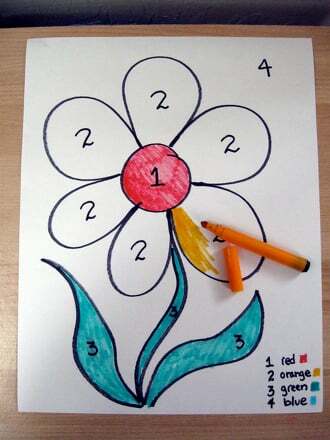 Your year one artist will love practising maths and coloring when he makes his own unique paint-by-numbers! 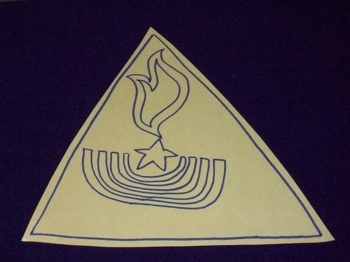 This activity is creative and educational. 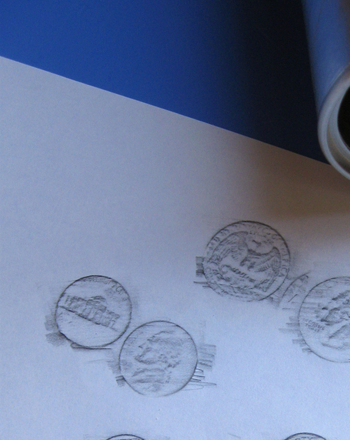 Make Your Own Coin Bank! 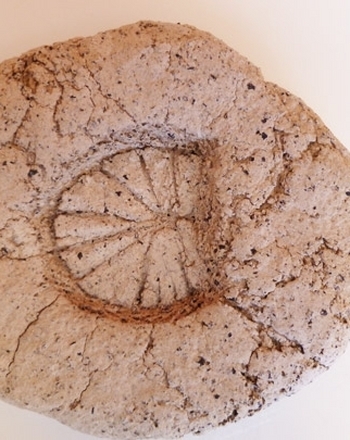 Help your first grader make a coin bank that builds connections to early reading and maths. And build good saving habits, too! 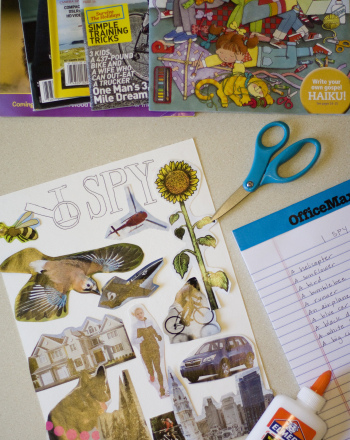 Turn wait time in the doctor's office or travel time in the car into fun time with your own version of I Spy.